Search Key West And The Florida Keys For Your Ideal Slice of Paradise. This is the perfect time to buy a investment property or second home in Key West. Rentals are at their highest in years, meaning more ROI for your pocket. Assessed Values and Comps within the Key West market are constantly on the rise. Buy now and see growth in your investment for years to come. It is Cayo Heuso! Key West offers nearly 365 days of fun in the sun for your relaxation in a Caribbean style we all love. 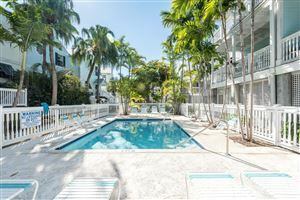 Krystal has in depth knowledge of Key West and the Key West Vacation Rental market. Let Krystal help find the perfect home for your ROI. One of the conversations that I’ve been having with locals is that Key West is moving closer and closer to no longer a seasonal town. Hear What Clients Are Saying About Key West's Premiere Realtor! Krystal Is A Proud Partner and Member of These Great Florida Keys & National Associations.